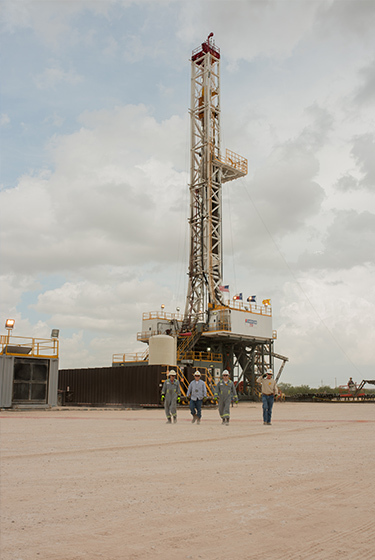 Since Shell entered the Permian Basin in 2012, we have high-graded our acreage, simplified the business, reduced costs and rapidly deployed technology to improve safety and increase production. We are on a path to deliver free cash flow in 2019 in one of the most active exploration and production plays in the world. With around 260,000 net acres in the prime Delaware Basin, Shell is one of the top producers in the basin. Production in 2018 nearly doubled compared to 2017, reaching 147 thousand barrels of oil per day at the end of 2018. At the same time, unit operating costs [A] have reduced by ~10% compared to 2017 and we have achieved a ~40% cycle time reduction in our well pad delivery process since 2016. We have also matured an inventory of resources in excess of 1 billion boe that breaks even at less than $40 per barrel and our investments pay back in 20 to 24 months. The Permian asset forms the critical foundation for enabling future growth in our Shales business and accounts for about half of our Shales capital investment annually. We differentiate ourselves in the Permian using innovative technology that enables us to improve recovery, simplify maintenance and reduce our risk exposure. The Permian is spread across thousands of acres in rural West Texas, making road safety our number one risk. Using drones for remote visual inspections reduces the amount of time our people spend on the road and so significantly reduces road safety risk. In late 2018, Shell was the first and only company to fly drones beyond visual line of sight in the Permian, which required approval from the Federal Aviation Administration. Our first drone pilot covered 3,500 acres in a day and executed more than 65% of our site operators’ tasks. We believe drones can help to identify issues and leaks faster and enable exception-based surveillance – allowing our site operators to focus on the most critical issues of the day. Shell was also the first and only operator in the Permian to use artificial intelligence to steer the drill bit, using our in-house GeodesicTM program. The test resulted in successfully drilling horizontally for more than two kilometres. This test indicates that the use of artificial intelligence could result in improved production. Our trading business is another differentiator, which helps insulate Shales from the West Texas Intermediate (WTI) crude oil price differential, ensuring that 100% of our operated barrels were exposed to US Gulf Coast pricing during periods of price dislocations in 2018. Shell is committed to safe and responsible development in the Permian and has taken a leading role in improving road safety in the region. As a founding member of the Permian Road Safety Coalition, we successfully advocated and helped secure $1.8 billion in funding from the Texas Department of Transportation to help find additional ways to reduce risks on the roads. Our Permian position is the heart of Shell’s Shales portfolio and sets the stage for growth across the Americas. [A] Unit operating costs exclude feasibility, research & development, decommissioning & restoration expense and third party insurance costs.